AEROMAIDTM provides the predictable, consistent cleaning results you need, regardless of the roll format, ink type or the operator. Assisted by well-designed, built-in sensors, the user-friendly software controls every step of the process to ensure excellent cleaning quality, every time. ECOMAIDTM detergents ensure a safer workplace for your employees and safer and better cleaning of your anilox rolls. 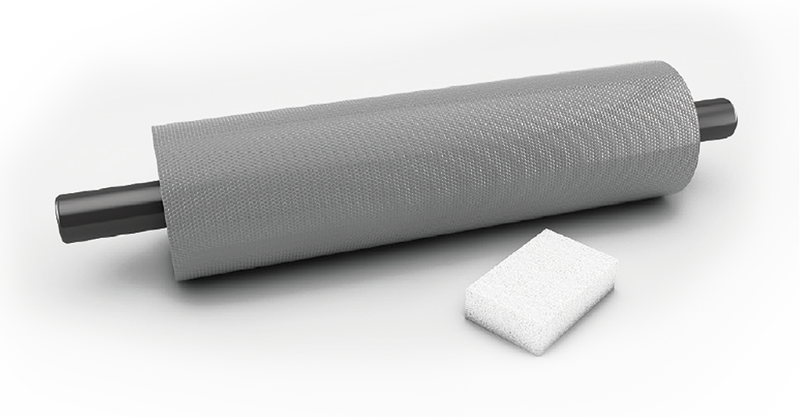 The Sponge Block, from Flexomaid, is the new tool we designed to provide the best mechanical action needed to reach the bottom of the cells. When you combine our Ecomaid detergents with the Sponge Block, you ensure that you are cleaning efficiently without any risk for your rolls. All our detergents are able to dissolve dried ink, but to do a great job you still need to reach the bottom of the cells. The special density of the Sponge Block was selected to ensure that, no matter what the anilox line screen is, your goal will be reached.Our Sponge Block is compatible with solvent, U.V. and water-based ink. AEROMAIDTM system from FLEXOMAIDTM is uses state-of-the-art air-stream technology to provide extraordinarily efficient, non-abrasive and contact-free cleaning that is safe for all your rolls. You’ll get the peace of mind only consistently reliable results can give. Starting today, cleaning print rolls has become an advanced science. With the precision air-stream technology of its new AEROMAIDTM system, FLEXOMAIDTM has set a new standard for roll cleaning efficiency. Labelsunltd a choisi le nettoyant anilox Flexomaid en raison de la simplicité d’utilisation et de la garantie de rouleaux parfaitement propres à chaque utilisation des détergents écologiques. Les résultats sont parfaits et nous permettent de garantir à nos clients des couleurs homogènes chaque fois que nous imprimons leurs produits. Marc Bradley – Managing Director. Labelsunltd UK. 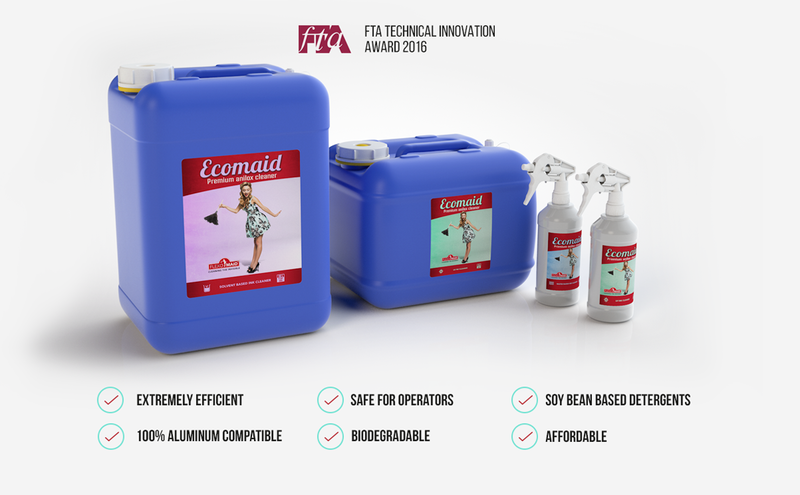 Labelsunltd chose the Flexomaid anilox cleaner because of the simplicity of operation and the guarantee of perfectly clean rolls every time using the Eco friendly detergents. the results are perfect and allow us to guarantee our customers consistent colour each time we print their products.